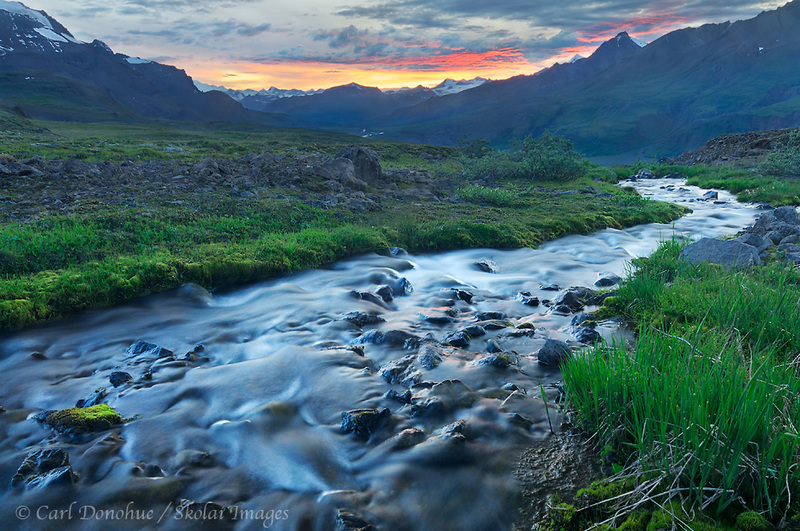 Sunset over Skolai Pass, Wrangell - St. Elias National Park, Alaska. Sunset over Skolai Pass and the Wrangell Mountains, Wrangell - St. Elias National Park and Preserve, Alaska. Carl, this is awesome, nicely done! Gorgeous! I had the opportunity to travel to Alaska once, and I saw the most epic sunset by the Knik glacier. Something I’ll never forget! Thanks so much, very much appreciated. Incredibly nice Carl. That stream looks quite refreshing with all the heat we have had down here. Love it, Carl. Makes me want to be there. Thanks guys, I really appreciate the comments. Makes me want to be back there, too, Michael. Posted on Tuesday, July 26th, 2011. This epic photo was taken by Carl Donohue.